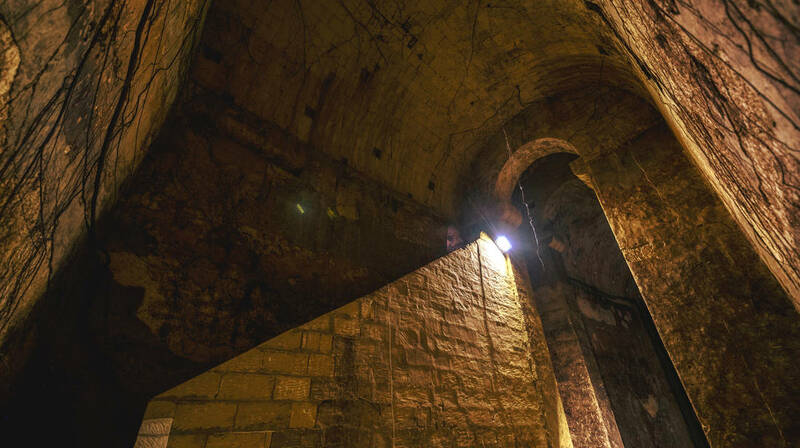 Valletta 2018 reminds visitors this is the last chance to visit the underground cisterns opposite the law courts and the Pixkerija which have been opened as part of the exhibition Dal-Baħar Madwarha (The Island is What the Sea Surrounds). Ticket prices for the major contemporary art exhibition, have been reduced to €3 for adults and €2 for children. Valletta’s underground cisterns and the Old Fish Market, Il-Pixkerija, are open till the 1st July. The magnificent cisterns host a site-specific sound installation by Turner Prize winner, Susan Philipsz; Who By Fire. Philipsz’s sound installation refers to a damaged naval bell at the National War Museum in Fort St. Elmo that has been salvaged from a battleship. This battered bell remains a reminder of the impact and force of air raids. Her work addresses memories and loss of local cultures over time. The cisterns have a rich history, having been built by the Knights of Malta, and used for hundreds of years for the storage of water, and as a place of shelter during air raids later during World War II. The installation ‘A Straight Line Through the Carcass of History’ at the Pixkerija, a grade 2 scheduled building which was built in the 1930s, is directly connected to the fabric of the building of the Pixkerija itself. This large scale intervention by Ibrahim Mahama is a physical line made of meshes, with the intention of highlighting the working history of the old fish market, its uncertain future and the Mediterranean Sea as a symbol of trading between Africa and Europe. Ibrahim Mahama, a Ghanaian artist based in Accra, is one of the current most influential African artists. He lives, works and plans his future there, unlike many of his African colleagues who choose to emigrate to Europe or the US. He uses the transformation of materials to explore themes of commodity, migration, globalisation and economic exchange. The exhibition is open from Tuesday to Sunday between 11am and 7pm. Tickets may be purchased from the ticket booth opposite the Law Courts or by visiting tickets.valletta2018.org. Dal-Baħar Madwahra remains open till the 1st of July, 2018.